Bring needle from back to front, pulling thread completely through. Using a sewing motion, insert needle from front to back through the same hole, and to front about four threads from original entry point. 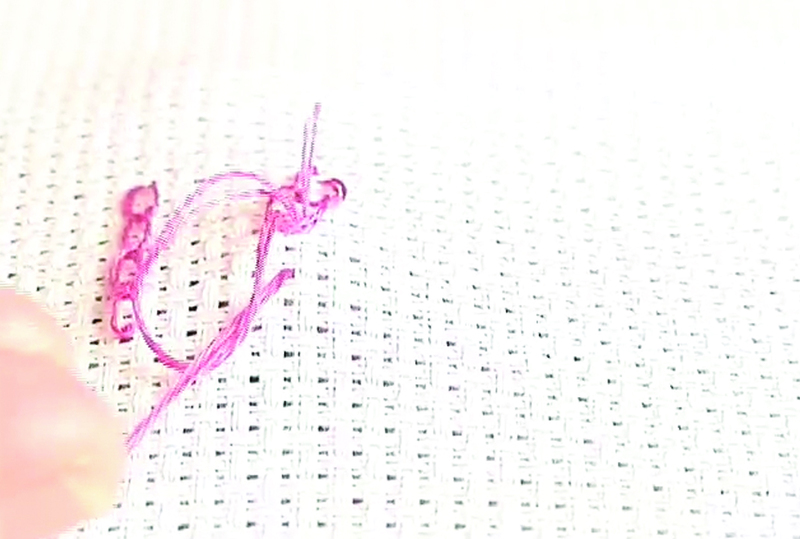 Pass thread under point of needle as shown in illustration, and repeat stitch. Work all stitches the same direction. To end row, anchor loop with a small stitch similar to a Lazy Daisy stitch. The Just CrossStitch update keeps you in the know about cross-stitch trends, news, special events and more. Sign up today so you don't miss a single issue! Learn more about the Just CrossStitch update and many others.